Just heard the rain that is flooding the state of California is fake! Though, the leaks from the clouds are real! "...very extremely bad..."
bwhahahahahaha! stay safe out there! Hard not to think of him as Burger King, now. 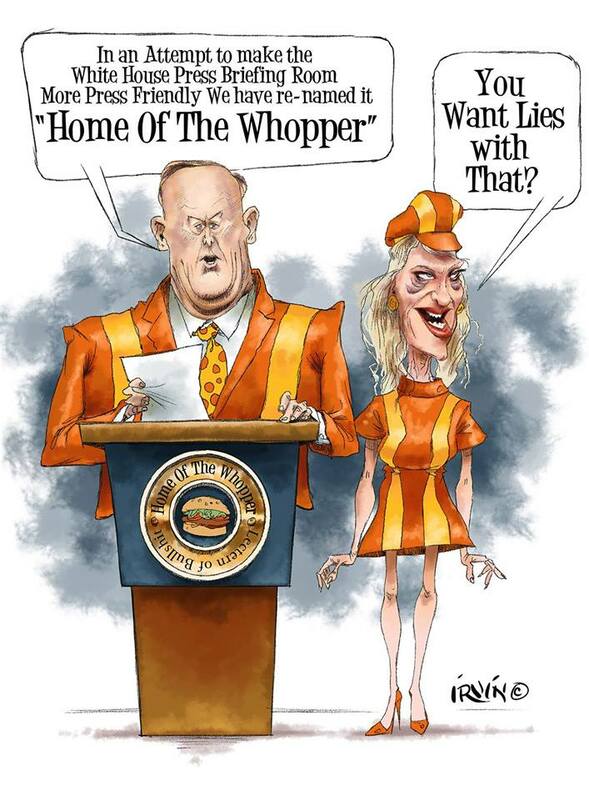 Burger King is precisely where those two should be working, not the White House. Maybe, but not in the front with the public! Maybe out back, taking a smoke break would be the best place for them.